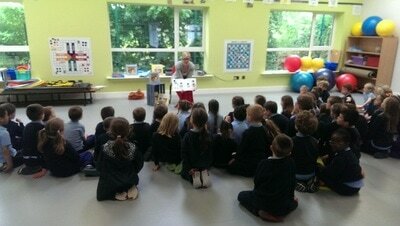 Author of the Johnny Magory books Emma-Jane Leeson visited Scoil an Linbh Íosa recently. 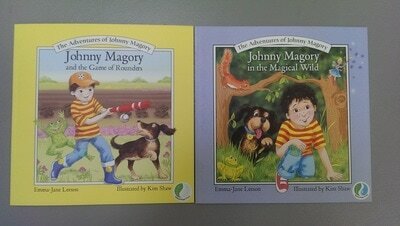 The past pupil read her books Johnny Magory in the Magical Wild and Johnny Magory and the Game of Rounders to the Senior Infants. The children were engrossed in the stories and listened attentively, enjoying the bright, vivid illustrations and the rhyming words. 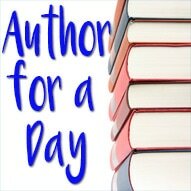 The author answered questions, explaining how long it takes her to write a book and where she gets her ideas. It delighted us all to hear that fond memories of PE lessons playing rounders with Mrs. Kavanagh and Mrs. Nolan was the inspiration behind Johnny Magory and the Game of Rounders. Emma-Jane promises another book is in the pipeline. We look forward to the next addition in the series. The Adventures of Johnny Magory books make for a lovely birthday or Christmas present or indeed some summer reading over the holidays. They are available in all good bookstores. 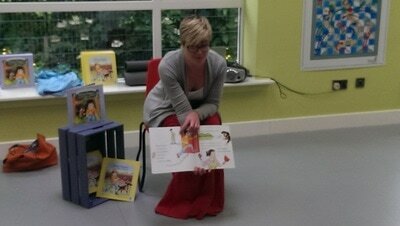 Many thanks to Emma-Jane for visiting and generously donating ten books to our school library. 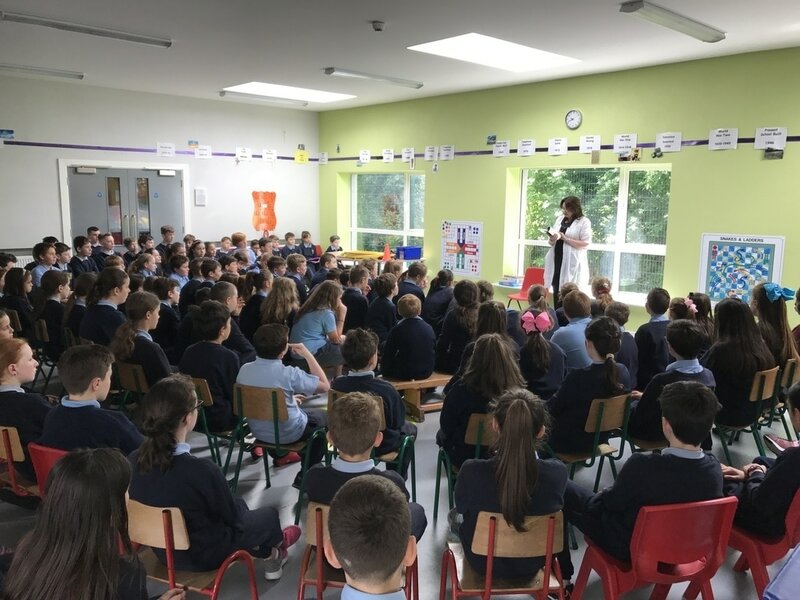 The children of fourth and fifth class had the pleasure of welcoming Olive Mooney to our school on Friday, June 9th. Olive is a local, Irish writer who has published two books in the series 'The Chronicles of Cadaver College'. ​Olive gave an insightful account of her life as an author, the hard work it takes to write a book and her love of literature. She read some extracts from her book 'The book of Ornis' and allowed lots of opportunities for the children to ask some questions. 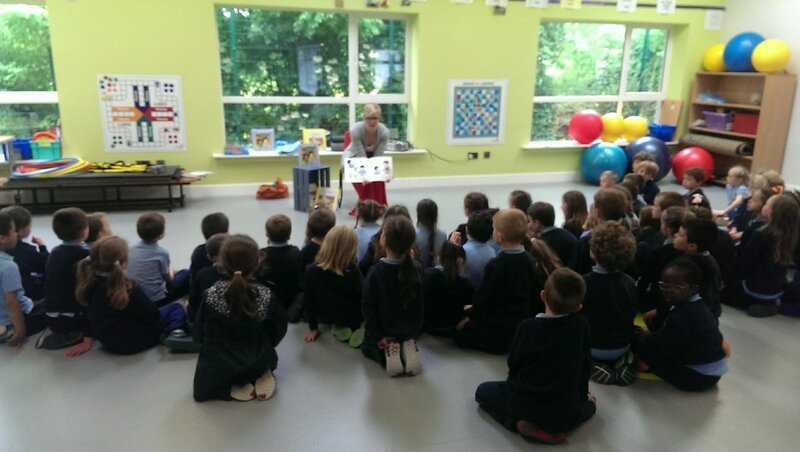 A big thank you to Olive for coming to visit us at Scoil an Linbh Íosa!